You haven't seen Hellraiser? Where have you been? Do you even like movies at all? It is one of the greats. A film everybody has to see. There's nails hammered into flesh, hooks tearing through skin, souls being ripped apart... What's not to like? 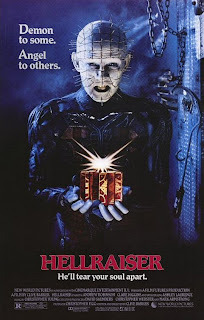 Written and directed by the amazing Clive Barker, the film was a breath of rancid air, in a time when horror slumbered in campyness, fake-scares and rehashes of old rubber monsters. 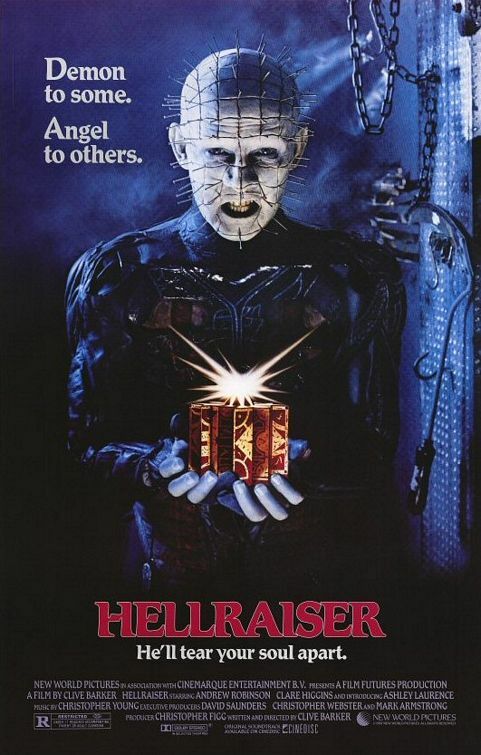 Hellraiser took off the gloves, picked up the implements of destruction, and went to work. 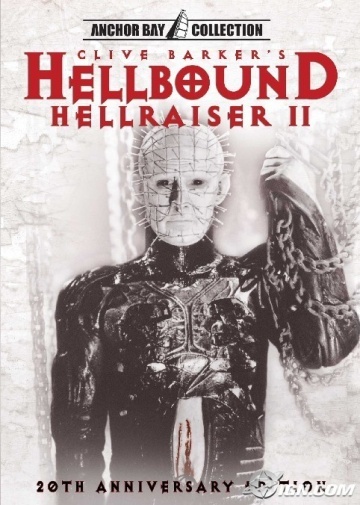 It's not without reason the original film spawned a whole truckload of sequels, that are all best left alone. All except the 2nd, which expands on the ideas of the original and is actually almost just as good.